In this article, we are going to see how to find the right view of a binary tree? This problem has been featured in interview coding round of Snapdeal, Amazon, MakeMyTrip, Adobe etc. Given a Binary Tree, print Right view of it. 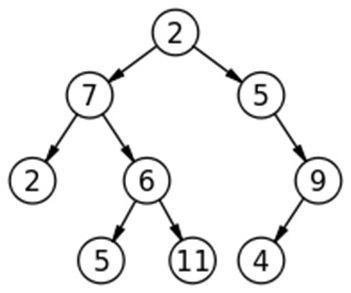 Right view of a Binary Tree is set of nodes visible when tree is visited from Right side. Right view of a binary tree means the nodes which are visible when tree is view from right direction only. The above problem can be solved using level order traversal. For every level traversed, print only the rightmost node. 1. Declare a queue q to store tree nodes.